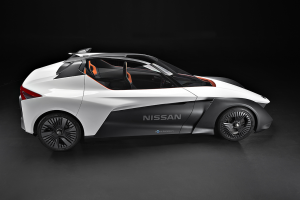 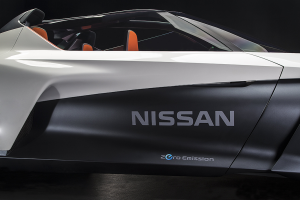 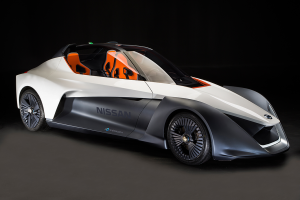 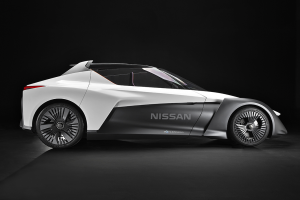 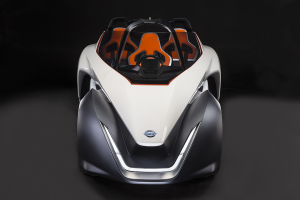 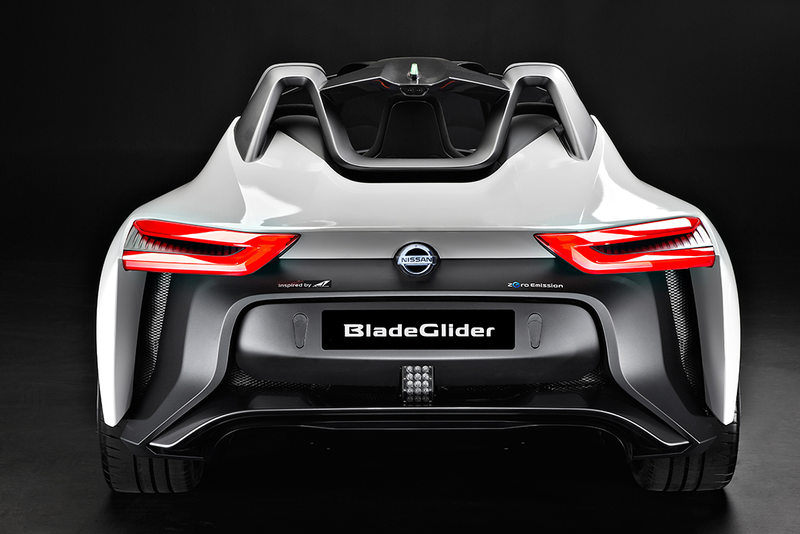 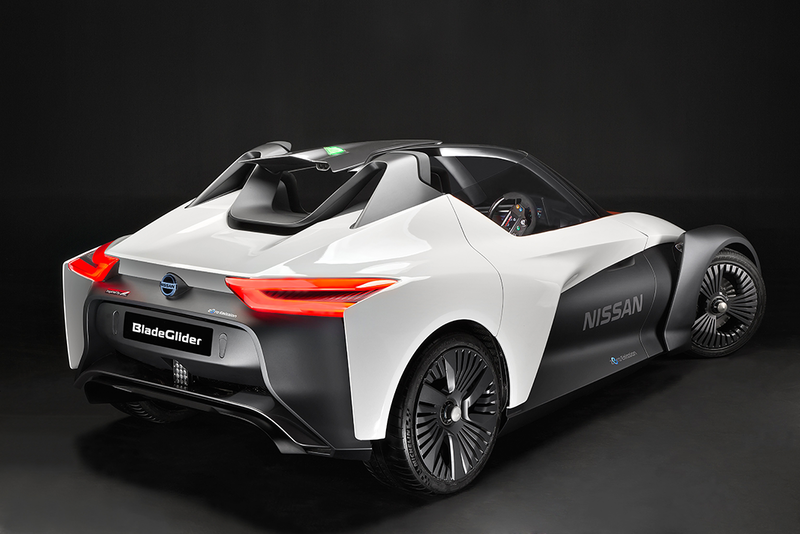 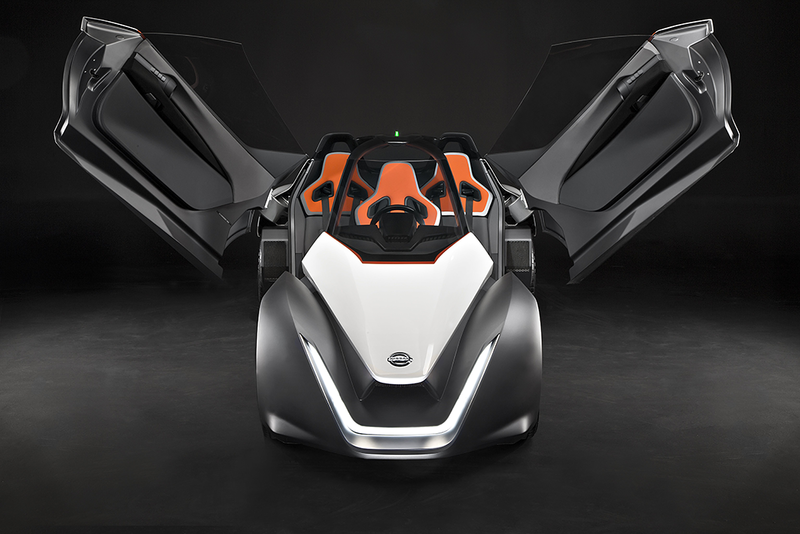 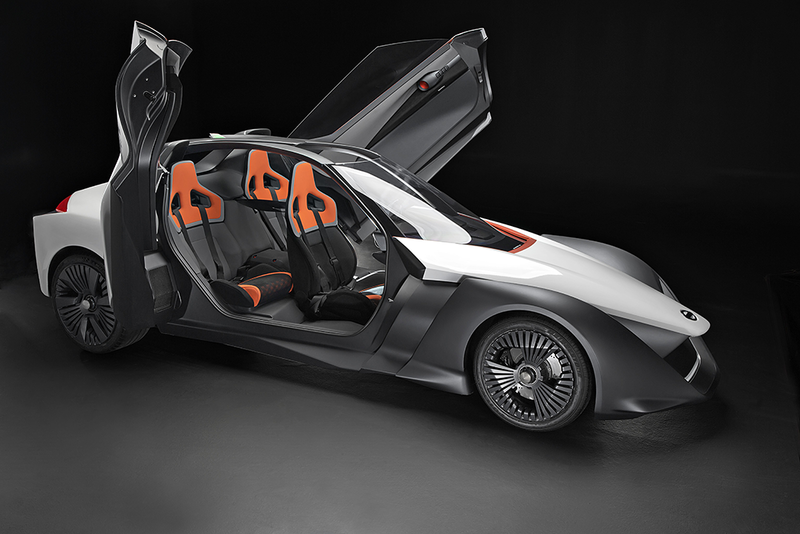 Nissan has unveiled the working prototype of its futuristic, zero-emissions, high-performance BladeGlider. 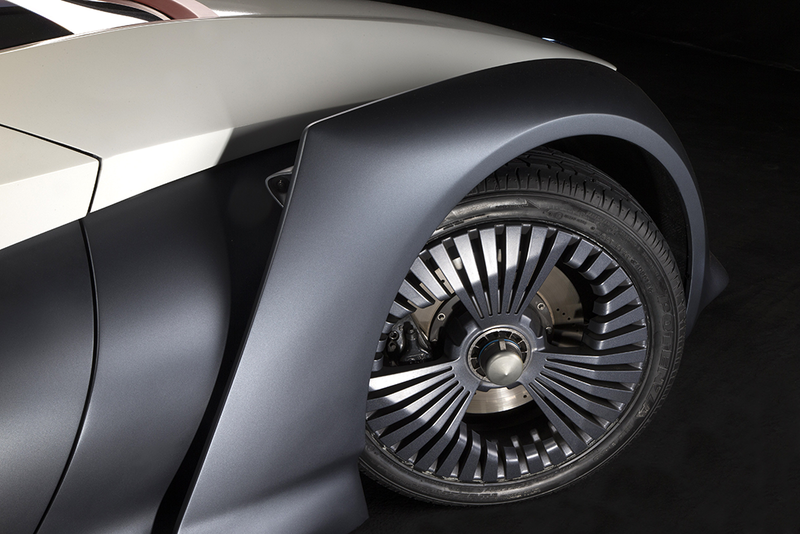 Wheel-mounted controls for BladeGlider’s systems feed into an advanced display showing speed, state of battery charge, regeneration mode and torque map. 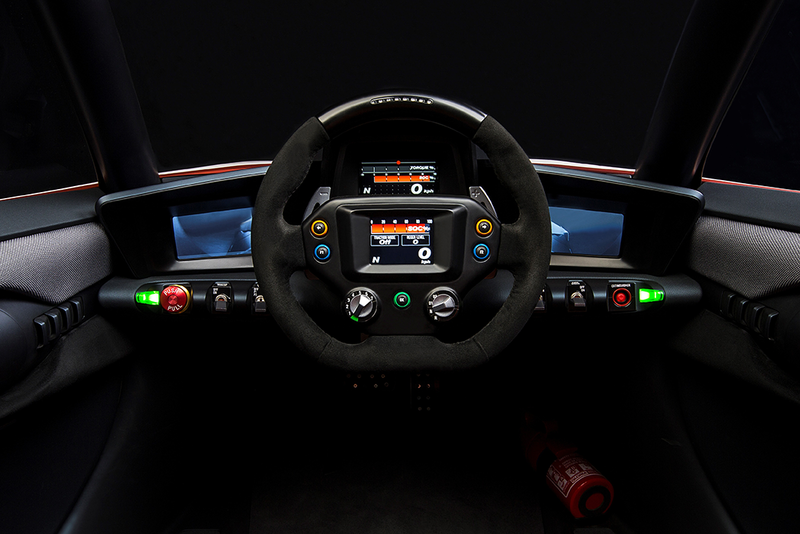 Flanking the central display are two screens, with the images of rear-view cameras mounted just behind the front wheels. The driver sits in arrowhead formation slightly in front of two passengers. 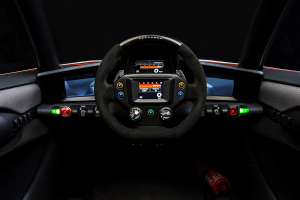 Power is 100% electric, with powertrain performance delivered by UK-based Williams Advanced Engineering. 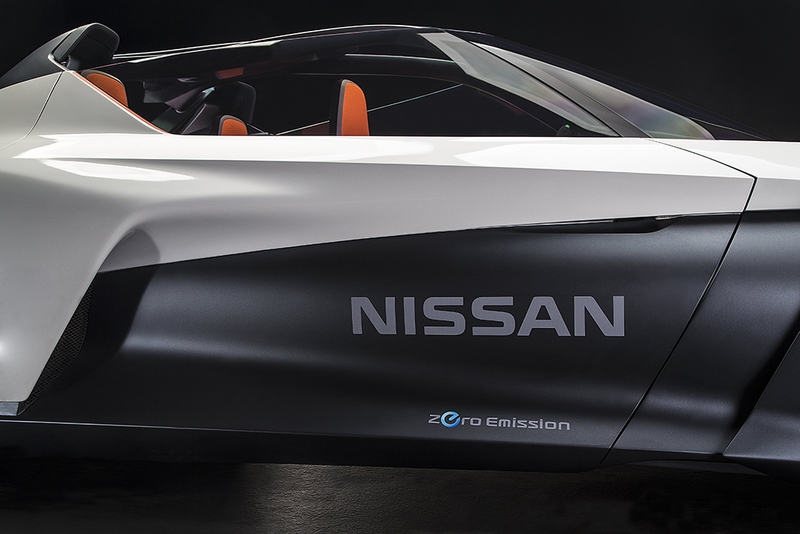 Maximum speed is in excess of 190km/h, with 0-100km/h taking less than 5 seconds. 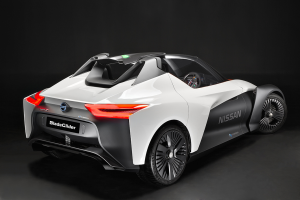 The rear wheel drive is provided by two 130kW electric motors – one for each wheel - and power is supplied by a high-performance five-module lithium-ion 220kW battery.